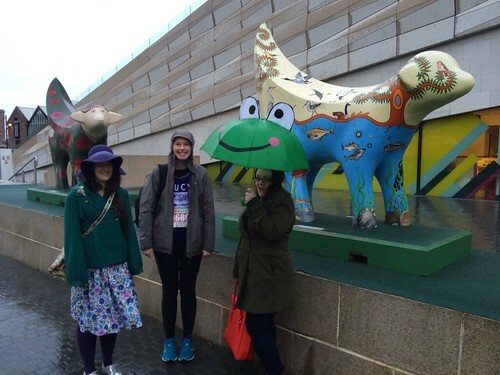 t*rexes and tiaras: March Round-Up..
A rainy, pre-race Lambanana shot. I'm going to try and be better with my monthly round up posts, as I find them pretty nice to look back on. So, how was March? 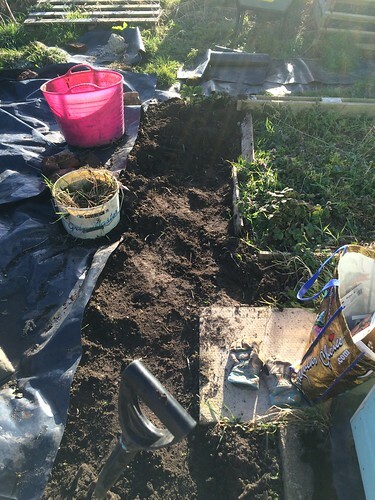 Well, I did manage to spend a little time at the allotment, but what with a million other commitments, not as much as I *should* have. I've made some progress, though and have also taken delivery this week of a little gadget which should help me with growing some more at home. More on that soon. I didn't do much sewing for myself, but did a lot for other people. My commissions book is filling up nicely, which is a help. The two dresses I made for myself were this octopus one and this shirt dress. 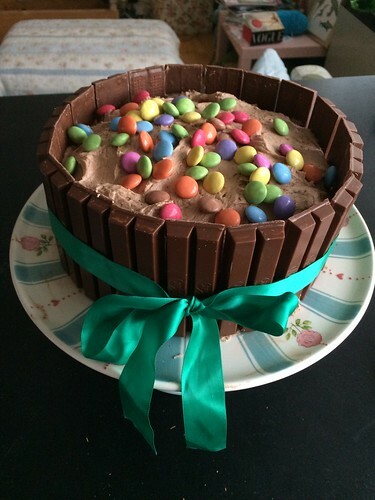 I made a rather fab birthday cake (although did fail at my Kit-Kat calculations), which was well-received. I didn't try it as I spent the month sugar-free, but was told it was good. 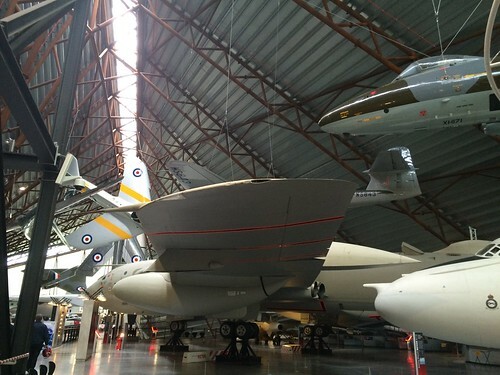 I helped run various guiding events, including a fun day at RAF Cosford for almost 400 brownies and rainbows, which went a lot better than expected. 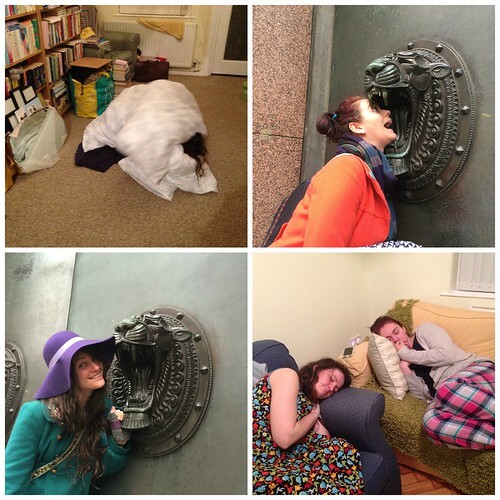 And finally, I had a wonderful day of relax, with some of my blogging pals. Becks, Lucy and I descended on Alex's house as Lucy was due to run the Liverpool half marathon. She's decided to run 13 half marathons during the year. Crazy girl. You can read more about it and sponser her here. Yeah, March was pretty mental busy, but busy is good. How was yours? I'm almost sad I didn't get to try any. The cake is so cool- clever you! Looks like you had a super March. Thanks, it looked quite effective, I think. Not too tricky at all! It would have been lovely to see you!